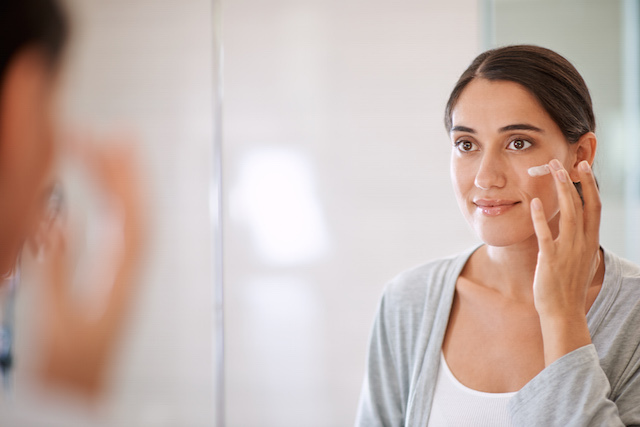 It may be the first thing to go when you’re ready to climb into bed after a long day, but your nighttime skin care routine is essential to getting and keeping healthier — and younger-looking — skin. Being exposed to stressors like UV radiation from sunlight and environmental pollutants can wreak havoc on your skin. So, tired as you may be, here’s the case for prioritizing your PM complexion care. Most people naturally just want to avoid aging effects as skin matures. But an evening anti-aging skin care routine actually needs to accomplish two goals: treatment of visible signs of aging and protection against future damage. The right anti-aging products and regimen are key. Too little and you might not see enough results. Too much and you’ll risk aggravating already stressed-out skin. But when you find the combination of a gentle cleanser, a moisturizer or serum with proven age-fighting ingredients right for you, mature skin is refreshed, rejuvenated and ready to take on the elements. The recommended evening routine for mature skin starts with a gentle cleanser, such as Neutrogena® Ultra Gentle Daily Cleanser, that will rinse away dirt, oil and make-up without aggravating delicate skin or stripping it of natural oils. Next up: exfoliation, which rids the complexion of dead skin cells. That’s because as skin ages, it becomes less radiant and dull as a result of a slower rate of cell turnover. When it comes to exfoliation, you have two choices: ingredient or physical. Products like the Neutrogena® Pore Refining® Toner contain ingredients such as alpha hydroxy acids (AHAs) or Beta Hydroxy Acids (BHAs), and the formula sweeps away dead surface skin, leading to a smoother, more radiant complexion. You also can include a physical exfoliant for even more sloughing power, but proceed with caution, as some women with aging skin can experience redness], which can be exacerbated by too much exfoliation. Another powerhouse ingredient for mature skin? Retinol. Neutrogena® has developed a number of innovative products that include retinol, which has become the No. 1 dermatologist recommended non-prescription ingredient to help skin fight the look of fine lines and wrinkles. 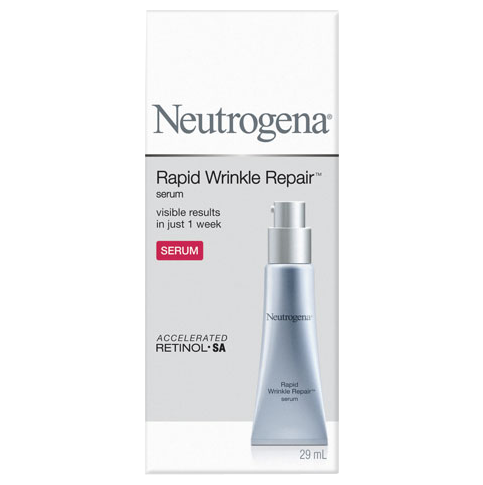 Retinol (find it in Neutrogena® Rapid Wrinkle Repair® Line) promotes the renewal of surface skin cells, which helps eliminate the look of wrinkles and fine lines. Although retinol can be an unstable ingredient, rapidly breaking down when exposed to light or oxygen, Neutrogena® has mastered the development of stable retinol that has optimal effectiveness until the last drop is used. If your skin is especially sensitive, introduce retinol into your routine gradually by applying every other day. For a dose of soothing hydration, finish with a replenishing moisturizer, such as Neutrogena® Hydro Boost, which will smooth and plump the skin and prepare your complexion for a new day to face the elements.